What is GB Labels About? GB Labels is a UK based company that has over 50 years’ experience in the narrow fabric industry. GB Labels designs and supplies a variety of woven labels to brand your garments and craft items. We’re all about giving your garment’s, crafts the care and identity they require. Good quality always comes first and our product’s go through a variety of quality control measures before providing the end product to you the customer. We always ensure that our clients are fully satisfied with our product, and that we maintain great relationships with them. Garment Branding is one of the most important processes when designing and producing your garment or item. Whether you choose to do it for your own pleasure or professional purposes, it will certainly add identity to your product and therefore make it unique. For your product to be recognised by a wider audience including existing and potential customers it is essential to differentiate it from the crowd, and your competitors. 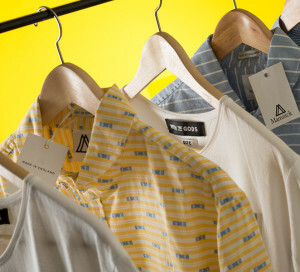 The label itself is an identity for your product and since the competition nowadays is fierce it is more important than ever to have a design and garment brand that is noticed amongst others. GB Labels has a wealth of knowledge from its very experienced staff, who are very approachable and will be able to help you on your way to designing the perfect label. Whether you have a design idea in mind or not, we will be able to guide you through the entire designing process and give you additional advice on the best design for your product. With the help of our highly skilled team, we will be able to turn your product into the notable and professional brand it deserves to be! At GB Labels we know that delivery means everything in this industry and therefore we strive on both the high quality and competitive pricing to ensure that all your specifications are met. We offer a great service and are on hand to recommend solutions to make your brand more effective and deliver the product that you require. To find out more about the different options available and order examples for inspiration, please visit our website at www.gblabels.co.uk and contact us. Our friendly team will be on hand to answer any questions you may have. You can also follow us on Twitter, Facebook and Google+ to keep up to date with the latest GB Labels news and industry insights. To gather helpful tips and ideas for your business follow our blog today.